A Light Electronic Warfare Team (LEWT) intercepts enemy tactical communications. 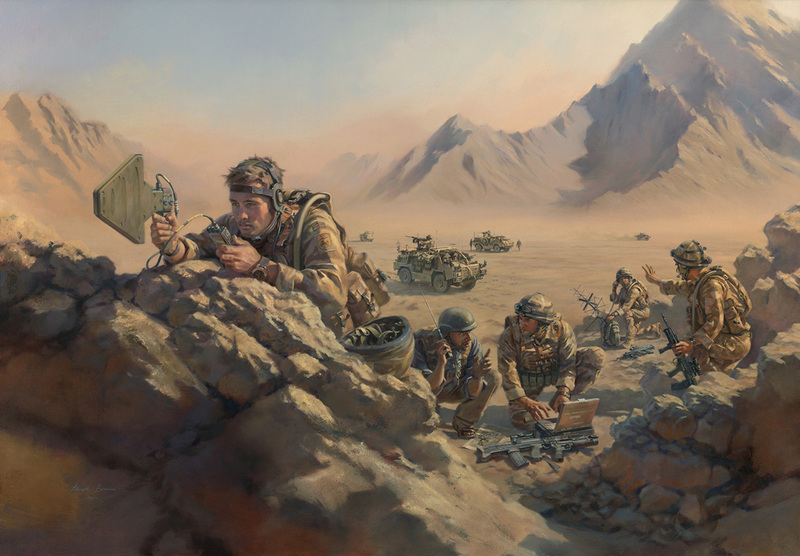 Commissioned by the Royal Corps of Signals. 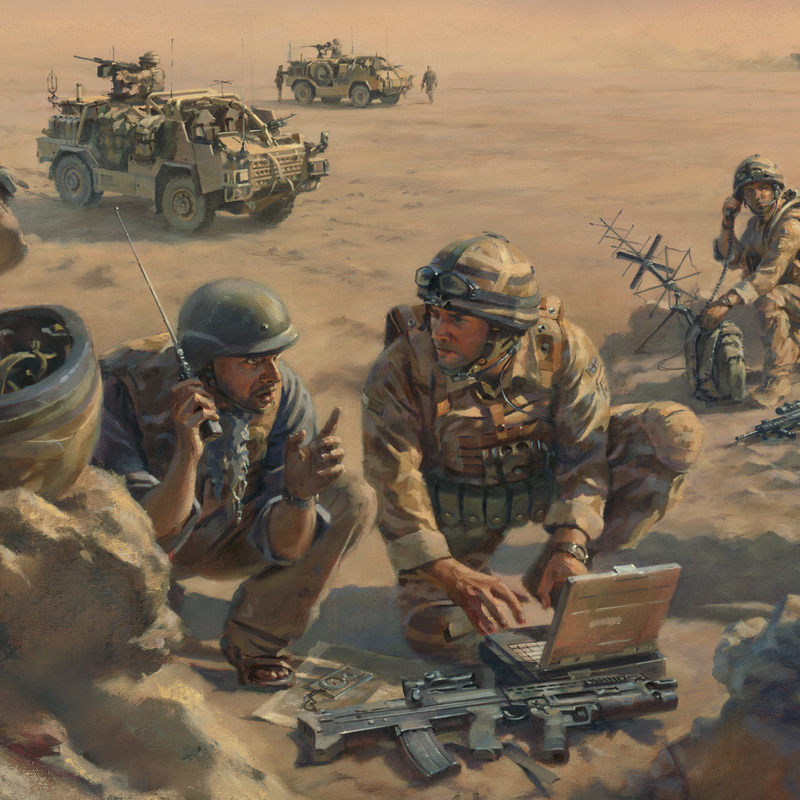 A typical scene from Light Electronic Warfare operations in Afghanistan in 2009. 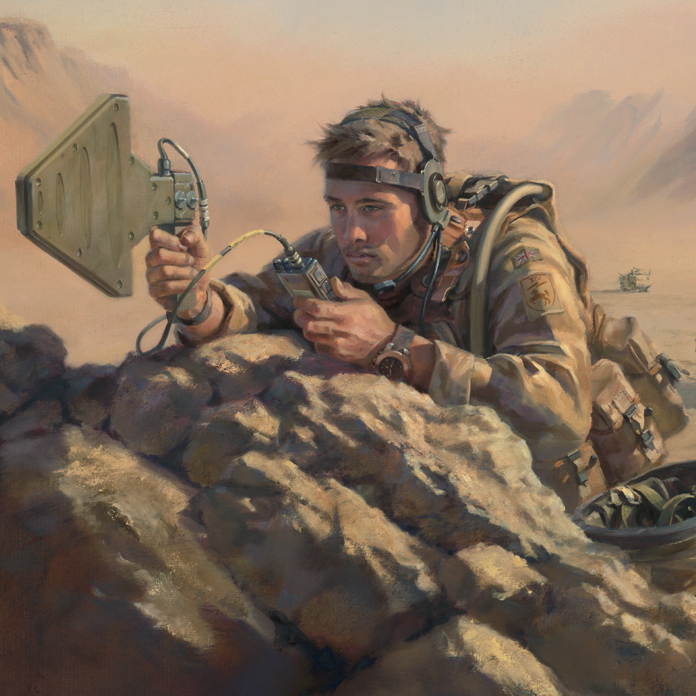 In the foreground an Electronic Warfare System Operator is intercepting enemy tactical communications and direction-finding their source. Behind him is an Afghan interpreter (known as ‘Terp’), who is translating the enemy transmission. An Operator Military Intelligence has conducted immediate analysis of the message, thus allowing the supported Infantry Commander insight into enemy intentions. This intelligence is being reported back via a Communications Systems Operator using TacSat. In the background can be seen the Jackal vehicles which the LEWT and the Infantry Patrol are using to manoeuvre over the foothills and valleys of Afghanistan on Operation HERRICK.